You are here: Home / Compost that scrap – or regrow it? If you’re tossing all your scraps into your compost pile, read this before you toss any more! Here’s some of my favourite things to regrow, though many more plants can be regrown. 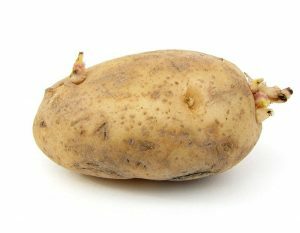 If you have organic potatoes (those sprayed with chemicals often are sprayed to resist growth), cut the eyes out but leave a very large chunk of potato attached (1-2″)- a medium size whole potato can yield 4-6 plants. Plant in soil as you would any seed potato. The white stem of romaine lettuce and cabbage leaves will grow roots and make a new plant – place your leaf flat in a dish, thick stem side down, with just enough water to allow the stem to stay wet, but not enough to cover the top. Mist with water daily or as needed to keep the top most. Transplant when roots are established. 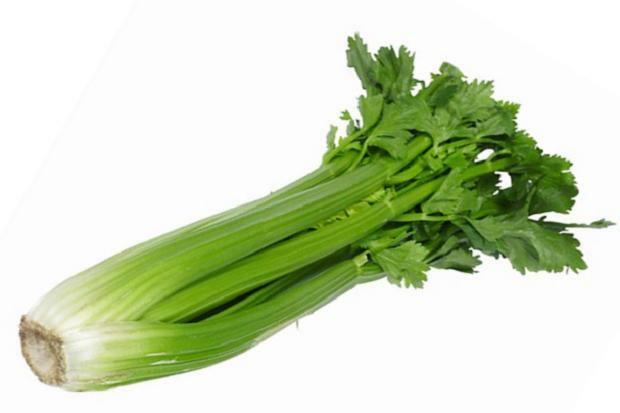 Celery is very easy to regrow. Take the base/root end and place in a glass of water for a few days, once roots are established and you see the tops start to grow, transplant to soil. Leeks and green onions too! 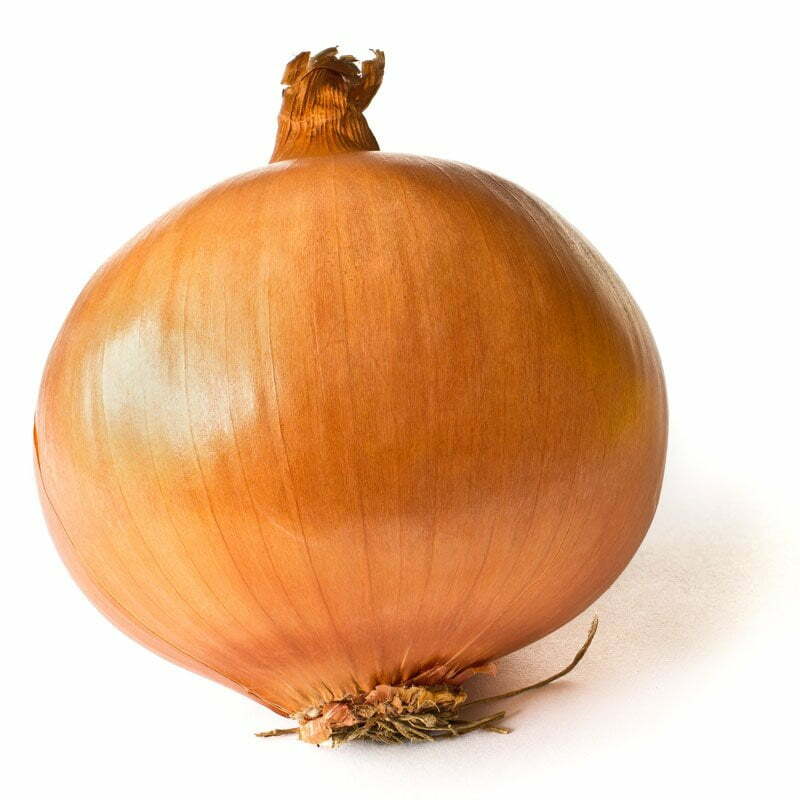 Onions are one of the easiest things in the world to replant ~ take the root end cut after you’ve cut if off your onion, and stick it room side down in soil. Cover with about 1/2″ of soil and water. I’d love to hear your thoughts – what veggies have you successfully regrown? http://www.garden-of-eatin.com/wp-content/uploads/2014/06/potatosprout.jpg 622 800 Amy http://www.garden-of-eatin.com/wp-content/uploads/2012/09/12-13logo-300x75.jpg Amy2014-06-24 10:15:572018-02-06 13:38:40Compost that scrap - or regrow it? 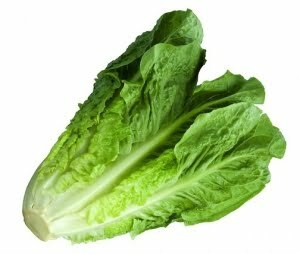 Romaine lettuce has been a great ‘regower’ for me, as well as Butter Leaf lettuce. I simply use scissors to harvest the leaves, then fresh leaves spring up right where I make the cut. Romaine lettuce will regrow multiple times until the heat does it in. It is by far our favorite kind to grow in the garden. I knew this trick with potatoes, but never knew romaine lettuce can also be regrown. Thanks for sharing with us. Wow, I really learned something. I didn’t know about the Romain Lettuce, I have to try that. This is my favorite lettuce. Thanks for sharing. Hahaha! I toss stuff in the compost heap and it takes off. Last year I harvested nearly thirty beautiful butternut squash, all volunteer, and I’m forever reproducing potatoes, tomatoes, and once celery. I need to try the romaine though. I knew about potatoes but romain lettuce and celery… wow! I never knew that celery can actually be regrown. I mean potatoes and onions are pretty common but celery? No. I will tell my wife to stop throwing away her celery craps now. Thanks for sharing! I have done the potatoes, but the other items are easy from seed so I don’t bother, although celery takes a minimum of 180 days from seed so it has to be started really early in the season. With that said, I have done the regrow potatoes project with my 2 sons. They are young and enjoy really projects like this. Regrown a few potatoes in my time, but that is it unfortunately, I’ll have to give the rest a try! Wow! I need to start using this technique. So wasteful!